It’s a fisherman’s day off the coast of Maine, where schools of fish swim in blue waters. 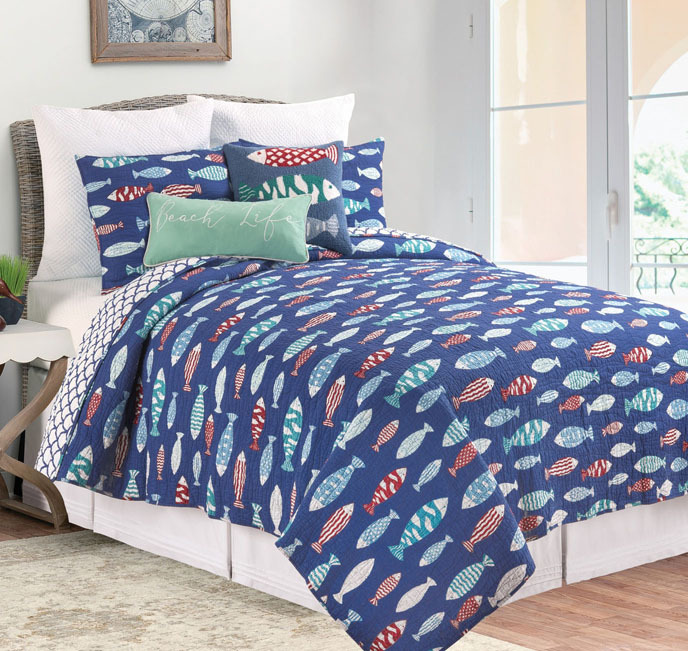 On a royal blue background, Harpswell features multicolored fish in geometric designs. 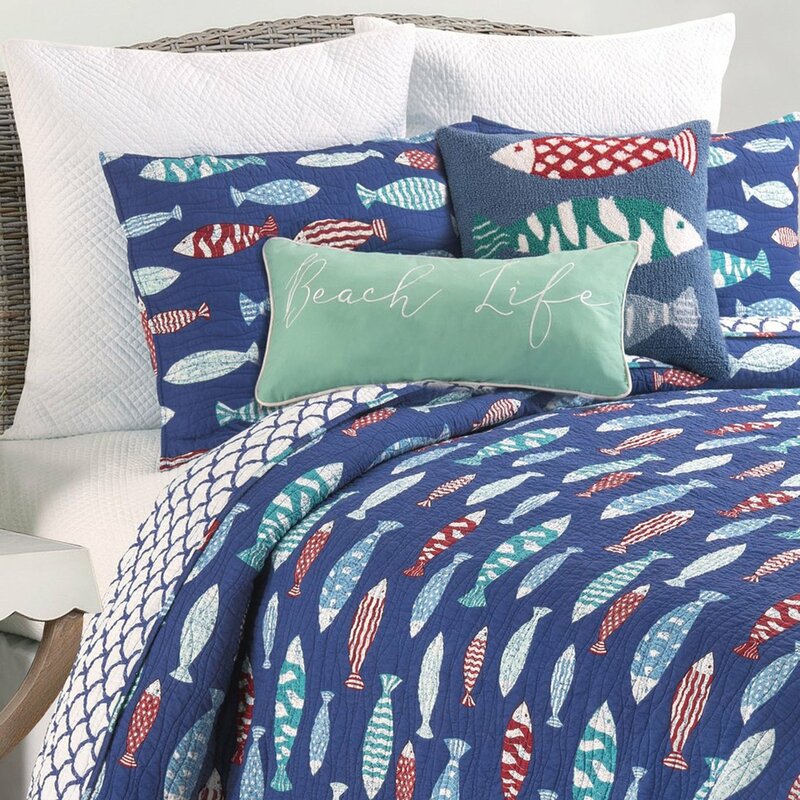 Find striped, spotted, and speckled fish in designs of sky blue, teal green, red, and ivory. 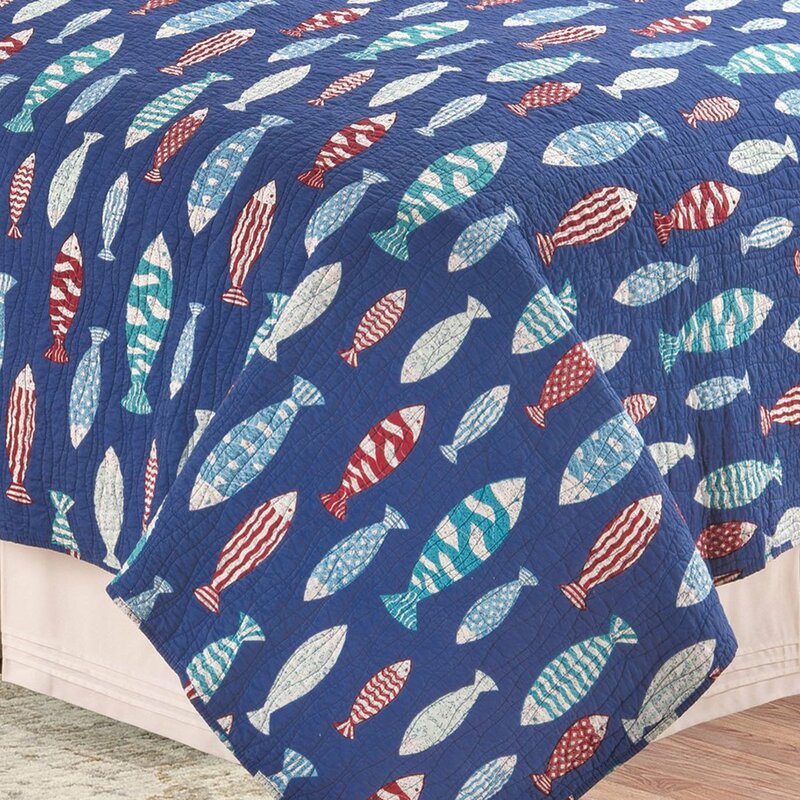 The reverse of the quilt is a coordinating fish scale pattern in royal blue on an off-white background. The quilting pattern is a wave design in blue stitching. The solid coordinating pattern is Hampton White Matelasse. The included standard sham is in the same fabric as the quilt. Some accessories shown are sold separately. Product: Quilt, 1 Standard Sham. Product Measurements: Quilt 64 X 86; Sham 20 X 26. Material: Cotton/Cotton/Blend. Care instructions: machine wash. Maker: imported, made by C & F Enterprises.